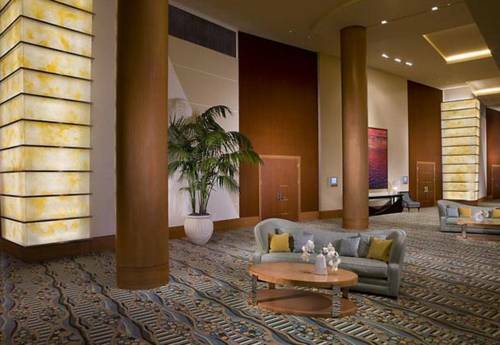 Find an elegant retreat nestled along the water at Renaissance Boston Waterfront Hotel. Perfectly positioned in Boston's scenic Seaport District, we offer travelers a unique vantage point from which to explore the city. Settle into our inspired guest rooms and suites, some of which feature sweeping views of the waterfront, and enjoy luxury amenities like pristine marble bathrooms and pillowtop mattresses. Start your day in Boston with a coffee at our on-site Starbucks before venturing out and exploring the wealth of nearby attractions. Ideally placed for both leisure and business travel, our hotel is situated near TD Garden, Boston Convention and Exhibition Center and Boston Harbor Cruises. After a busy day in the city, unwind with a delicious Italian dinner at Sap re Ristorante & Bar or grab a nightcap at Capiz Bar. Other hotel amenities include a modern fitness center, a heated indoor pool and 21,000 square feet of state-of-the-art meeting and event space. Sap re Ristorante & Bar: Experience all-day dining at Sap re Ristorante & Bar, our hotel's acclaimed restaurant. Boasting scenic views of Boston's Seaport District, we offer a unique take on Italian cuisine. Capiz Bar: Unwind after a busy day exploring the city at Capiz Bar in Renaissance Boston Waterfront Hotel. Overlooking the vibrant Seaport District, this casual yet sophisticated bar is the ideal destination for a relaxing nightcap. Starbucks : Begin your morning in Boston's Seaport District at our on-site Starbucks . Offerings include signature coffee and tea beverages and light, grab-and-go restaurant fare.